Want to be successful in life? Who doesn’t? The key to success (according to my late-night musings while exercising at the gym) is to pick up a hobby or two. All the evidence presented in this post is anecdotal, however, I believe there’s a lot of common sense to it. Think of some of the most successful people in the world – as determined by overall fame, money, and how they are universally adored – and you will find a large number of people who got really good at one of their favourite things to do. The most obvious examples are famous musicians who were able to take their musical obsession to capture a broad audience. Unlike most other “average” jobs, it is safe to say that most musicians do not simply choose to make music because it’s “a job”. Instead, they take their passion for their music and leverage it for astounding success. Of course, there are many musicians that never make it – but when they do make it, they are far more successful/rich/famous than a plumber who is a master of his trade (no offence to the great plumbers out there!). So it seems obvious but some of the best opportunities in life come from narrow interests and hobbies. Consider successful bloggers who took their passion for a particular topic and turned themselves into knowledge experts with a devoted following. Seth Godin is a great example of this type of topic expert, as are the original bloggers behind Gizmodo and Lifehacker (some of my favourite blogs). Turn a hobby into a career and you will love what you do and have great opportunities for success. For years, I have spent my life trying to be good at most things when really I should have been focusing on being amazing at a few. Not to get caught up in the whole New Year’s Resolution nonsense, but perhaps it is worth a look inwards – find your biggest strengths and focus on them. 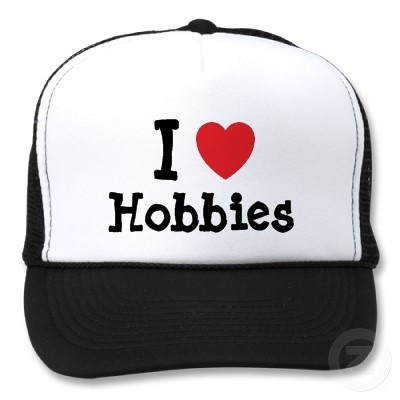 Pick one or two hobbies/topics/activities that you are really good at/really enjoy and find a way to leverage it.